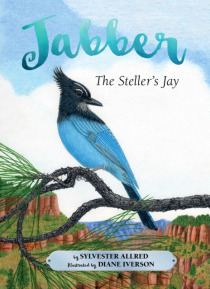 This beautifully illustrated children's book takes the reader through the first year of life of Jabber, a Steller's jay. She lives in the ponderosa pine forest of the US Southwest, which provides many habitats and foods for the other animals that live there with her. The various life stages of Steller's jays are explored through the four seasons. Includes a pictorial glossary of many of the forest… animals that Jabber meets, including a red-tailed hawk, a tassel-eared squirrel, a porcupine, and a mountain lion.